Population growth and climate change impact directly in water scarcity, one of the main sustainable challenges faced by IoT technology providing benefits like consumption reduction up to 10% or wastage and leakage decreasing up to 20%. The new solution now features digital and optical sensors that provide incredible accuracy, more robustness and immunity to environment oscillations. The water quality parameters measured include dissolved oxygen, pH, redox (ORP), conductivity, salinity, TDS – Kcl (total dissolved solids), temperature, nephelometric turbidity, suspended solids and sludge blanket. New ion selective probes have also been added to detect ammonium, nitrate, chloride, sodium and calcium presence. 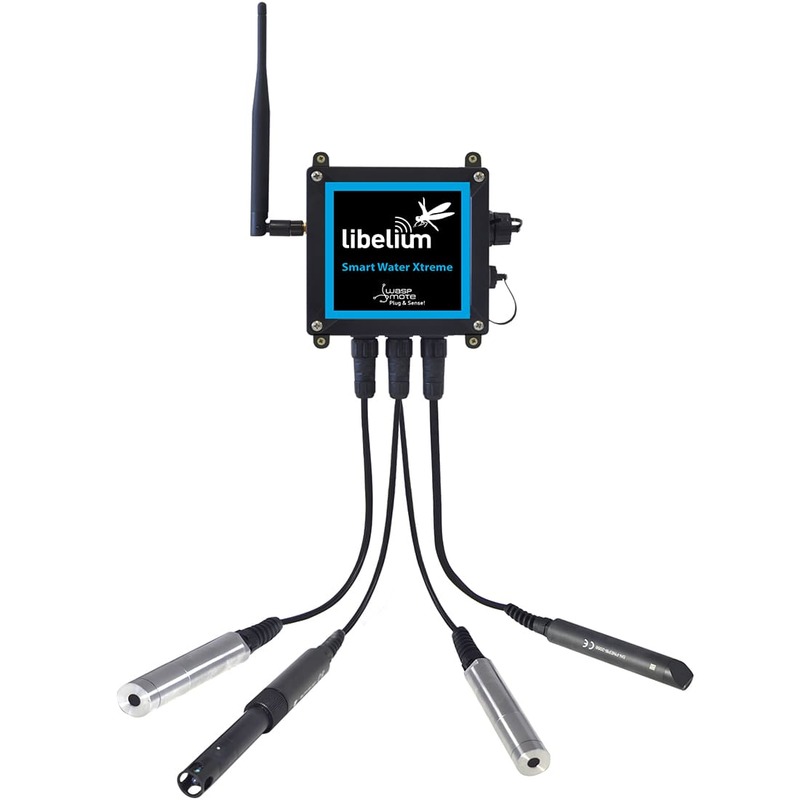 “For the first time, the platform contains sensors to control biochemical and organic levels pushing Smart Water Xtreme as one of the most complete and versatile water monitoring platforms in the world,” states David Gascón, Libelium’s co-founder and CTO. These sensors are fluorometers for chlorophyll, phycocyanin (freshwater BGA), phycoerythrin (marine BGA), CDOM/fDOM (colored dissolved organic matter/ fluorescent dissolved organic matter). The probes work with RS-485, SDI-12 digital protocols that allow a sensor probe cable length of up to 50 meters and include robust IP68 sensors that work underwater at a pressure of up to 5 bar (50 meters). This feature allows the study of the water column, a concept used in oceanography to describe the physical and chemical characteristics of seawater at different depths. It is now possible to place the sensors at different depths for applications like dissolved oxygen control. Additionally, each sensor includes a calibration report that assures that they have been tested and calibrated. An internal temperature sensor is even used in each probe to get a better accuracy of the specific parameter. Urban Waste water treatment (Inlet/ sewage water (SS, Turbidity), Aeration basin (SS), Outlet (Turbidity). Libelium’s R&D Team highlights that some sensors of the new platform are especially robust and need less maintenance; such as the inductive conductivity sensor (CTZN), whose measurements are not affected by fouling (accumulation of organic material on the sensor’s surface). 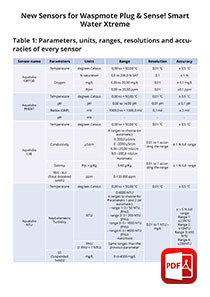 Depending on the application, the sensor probes calibration period may be several months. In order to be placed in pipes or tanks, a range of mounting accessories are available for each sensor. Furthermore, the platform includes protective wildlife accessories. Discover our Smart Water Kits at The IoT Marketplace.